I don’t think I have ever done an Easter reflection for my blog. I mean what can I add to a religious event that has been going on for almost 2000 years? At our Palm Sunday Mass I found it increasingly difficult to stand, such are the ravages of age. So my mind started drifting a bit. When the reader came to the part about Jesus being crucified between two robbers, I got an interesting idea that I want to share with you. Remember some years ago when they tried to make the thieves into revolutionary insurgents? I always loved the story of the good thief, as the saved criminal was originally called. I think it is the greatest oxymoron in the Bible. In his classic Life of Christ, Bishop Fulton J. Sheen wrote that he was the thief who stole Heaven. What a lyrical way of describing such a triumphant event! He was never canonized by the Catholic Church but is venerated as a saint by local traditions as Saint Dismas (sometimes spelled “Dysmas” or in Spanish “Dimas”). The name Dismas for this thief may date back to the 4th century. 39 Now one of the criminals hanging there reviled Jesus, saying, “Are you not the Messiah? Save yourself and us.” 40 The other, however, rebuking him, said in reply, “Have you no fear of God, for you are subject to the same condemnation? 41And indeed, we have been condemned justly, for the sentence we received corresponds to our crimes, but this man has done nothing criminal.” 42 Then he said, “Jesus, remember me when you come into your kingdom.” 43 He replied to him, “Amen, I say to you, today you will be with me in Paradise. According to tradition, the Good Thief was crucified to Jesus’ right hand and the other thief was crucified to his left. For this reason, depictions of the crucifixion often show Jesus’ head inclined to his right, showing his acceptance of the Good Thief. His story inspired several priests, nuns and others to work with people who had made very bad choices about taking other people’s property. Dismas House was founded by Father Charles Dismas Clark in 1959. Father Clark was a Jesuit priest who long had the goal of helping ex-offenders by giving them a place to stay while they got on their feet after releasing from prison. Along with Morris Shenker, a Russian immigrant lawyer, Clark opened Dismas House in 1959. At the time, halfway houses were a radical concept and initially met with a lot of resistance within the community. Today, halfway houses are commonplace and are recognized as a valuable asset to the offender and an integral part of the criminal justice system. Father Clark became nationally famous as The Hoodlum Priest, the protagonist of a 1960’s Hollywood movie of the same name. The film starred Hollywood actor Don Murray in the title role. He also directed the low-budget film. It was Father Clark who approached Murray with an idea about turning his life’s work into a TV movie. 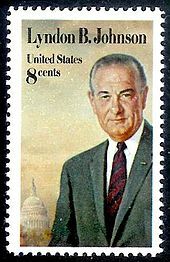 Murray signed on Father Clark’s ambitious project that described the creation and development of his rehabilitation ministry of returning criminals to mainstream American society after their prison terms. Today Dismas House, which is in St. Louis, serves referrals from the United States Bureau of Prisons, the U.S. Probation Offices in the Eastern District of Missouri and Southern District of Illinois, the Pretrial Services Office, and direct court commitments. Residents can stay anywhere for a few days up to six months or longer, depending on their needs as determined by their referring authority. I also had another thought during the reading. The only participation the people standing in the pews was a few utterances by the crowd. The one that spoke to me was when the mostly Jewish crowd yelled crucify him…crucify him. That made me think of an interview that I did with Philip Jenkins, the Chairman of the Religion Department at Penn State University on my WGNU radio program many years ago. A former Catholic, Jenkins has distinguished himself for many years, writing about Christianity and the sociological forces in the world of religion. In asking him about his latest book, somehow the discussion turned to the death of Jesus. I think he had blamed it on the Romans, which was a view that just starting to gain currency as a political correction to the standard view that the Jews did it! I found this something very difficult to believe…and from a Cambridge man at that! I had never heard the term blood libel during any of my Catholic education from 1949-1965. I had never personally blamed any Jews for the death of Christ–other than the leaders of the Sanhedrin in the time of Christ. Nor had I ever uttered the epithet, Christ killer! to anyone. But how could the Romans (all Italians) be guilty? Did not Pontius Pilate not offer them Barabas instead? Was it not the Jews who refused, yelling crucify him..crucify him? What was the symbolism of Pilate’s washing of his hands? Did he not say…I find no guilt in this man? It was indifference and maybe even cowardice but certainly not full complicity. Of course he had to offer his soldiers for the actual execution. The Jews lived under Roman control and had no right to execute anyone, even though some of them, according to John’s Gospel, had tried to kill Jesus after one of his sermons. 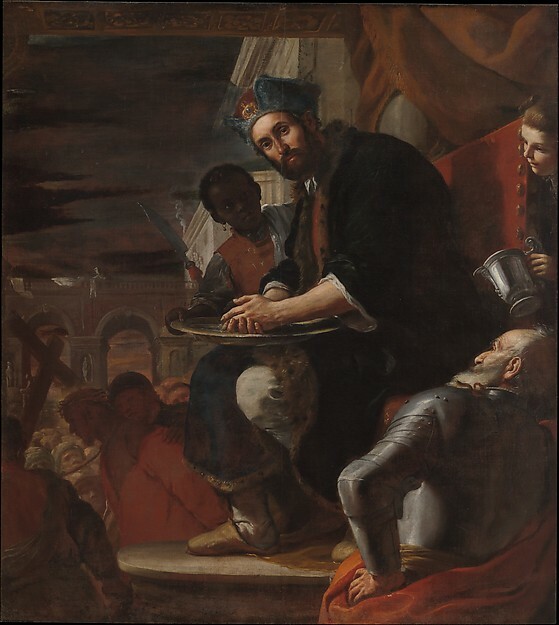 Pilate feared for his job since he was afraid that if he did not hand Jesus over to the Jews, there might be a rebellion. Jerusalem was not the prime posting for a career politician and he could not afford to make any waves that would ripple back to Rome. The crowd said crucify him! But to blame the Romans is not only specious reasoning but a distortion of both the Gospels and history. In fact both Pilate and his soldiers became very uneasy about the whole matter. One centurion spoke of Jesus’ innocence and his divine lineage after he died. Near the end of the interview, I asked Professor Jenkins if the Romans were responsible, then what was Jesus’ crime? He said nothing…not a word…and then we had to bid adieu. A third and final idea occurred to me Palm Sunday when Jesus predicted his right-hand man and the future first pope, Peter would betray him…not just once or even twice…but three times. Peter is one of my favorite saints because of his deeply flawed humanity. He loved deeply but he seems to muck things up at every juncture. He liked to boast but everything he said seemed to blow back in his face. He wanted to walk on water and was doing fine until his fears and lack of trust took over and Jesus had to save him. But when push came to shove, he was crucified just like Jesus with a very humble twist as if being stripped naked and hung up for the pleasure of hundreds of spectators is not humbling enough. Peter was nailed to his cross upside down. I hope all of the above will give you something to think about as this Easter season draws to a close. And maybe if you have any energy left watch Mel’s movie again…the Passion of the Christ. No Easter is complete without it. 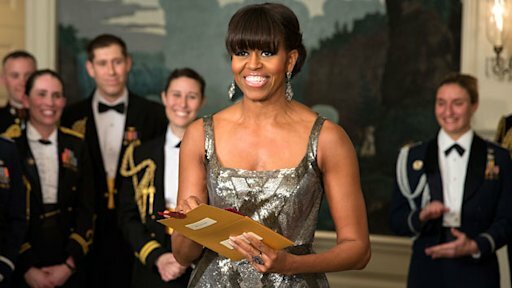 Michelle Obama’s surprise appearance at the recent academy awards got me to thinking about all the movies in which some actor portrayed a real president. I am not talking about the fictional presidents played by Morgan Freeman, Michael Douglas or John Travolta. I mean the real deal–Washington, Lincoln and FDR. There should be an official or at least an unofficial award given to the man who has given the best imitation of being a president. 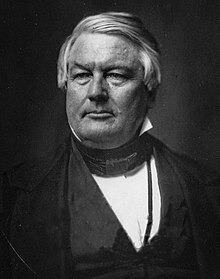 In looking at the entire list, I was surprised to see that all the 43 men, who served as president, have had someone portray him in a movie…even the relatively unknown Millard Fillmore, the 13th POTUS. Fillmore’s namesake, Millard Vincent play him in the 1939 film, The Monroe Doctrine. 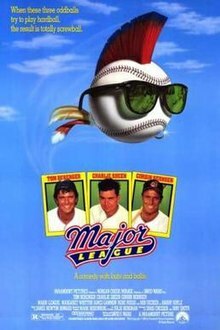 The worst mismatch of all on this list was tough guy Nick Nolte in the 1995 film, Jefferson in Paris. 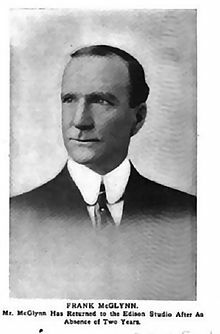 It is fitting that the first POTUS, George Washington was the 1st president played by an actor in a film–Joseph Kilgour who appeared as the first president in two silent features in 1909. A Washington actor appeared in 17 different films with the last one being David Morse in the miniseries about his vice-president, John Adams, starring Paul Giamatti. I didn’t give Giamatti, whose father was the late Commissioner of Major League Baseball, Bart Giamatti, any real consideration because he had several hours to depict John Adams. I thought this was an unfair advantage. 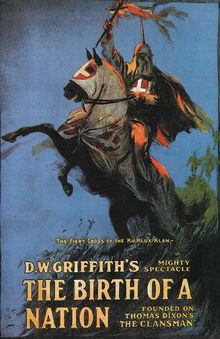 It is not surprising that Abraham Lincoln received the most portrayals in films with the first one being, Joseph Henabery in the highly controversial classic, the Birth of a Nation in 1915. By my count, someone played Lincoln in 28 movies, the last being Tom Amandes in Saving Lincoln in 2013. Of course it was Daniel Day-Lewis, who I believe is the only actor to win an academy award for playing the 16th POTUS in th eponymous 2012 film Lincoln. It would have been a real coup had Sally Field won an award for portraying Lincoln’s wife Mary Todd. Day-Lewis was not in my opinion a figure that easily evoked the presence of the real Lincoln. I believe that honor should go to Raymond Massey. 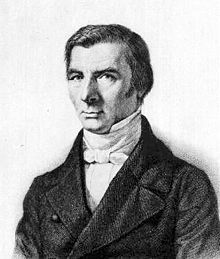 His shaky, almost frail frame looked like Lincoln and his authoritarian voice was much better than Day-Lewis’. Massey was Lincoln in two films–Abe Lincoln In Illinois (1940) and 22 years later in How the West was Won. An actor, named Frank McGlynn, Sr. holds the record with three Lincoln portrayals from 1934-36. Hal Holbrook, twice and even director Walter Huston also played Lincoln in a film. Another wonderful presidential portrayal was Charlton Heston’s depiction of Andrew Jackson, our 7th POTUS in the endearing 1953 film, The President’s Lady with Susan Heyward as his Indian wife, Rachel. The biggest stretch in this movie was the lack of any resemblance Hayward had to the pipe-smoking Rachel Jackson. Heston later reprised his role in the Buccaneer. Having played Moses and Ben Hur, Heston gave a stately and almost lionesque stature to Jackson. Teddy Roosevelt, the 26th POTUS received a terrific portrayal from Tom Berenger, who is much better known for playing a gimpy catcher in the 1989 classic comedy, Major League. His TR was resolute, tough and played with enough self-parody to animate his real-life character. Robin Williams’ played the Republican Roosevelt in a pair of comedies, Night at the Museum and in a 2009 sequel, A Night at the Museum: Battle of the Smithsonian. The movie was so contrived that his performance was rigid and mostly pedestrian by comparison. Thomas Woodrow Wilson made it to the screen on just on two occasions, such was his pedantic and near aloof personal style. These traits don’t resonate well on the silver screen, as would a president burdened with the soul of a preacher and the temperament of a nursemaid….no easy recreation. I did see the 1944 movie, simply named Wilson, and starring Alexander Knox, whose reserved, almost melancholic portrayal stayed in my mind for over 50 years. Another Massey, Walter, who was Raymond’s cousin played William Howard Taft the 27th POTUS. in something called The Greatest Game Ever Played. And the irony is I had seen that movie about the great golfer, Bobby Jones. One could argue that the title is a misnomer because I hae golf but I won’t go there. It is odd that Taft is one of the relatively unknowns in American political history, even though he later served on the Supreme Court as well. Several actors have also played Franklin Roosevelt. I especially liked Ralph Bellamy’s sunny depiction of FDR in Sunrise at Campobello in 1960. I always like Bellamy who was one of the first actors I remember from my first television experience. 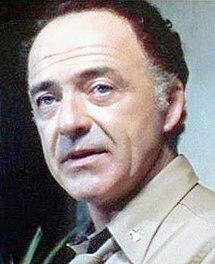 He played a savvy detective, named Mike Barnett…that was Barnett with two ‘ts’, which was a recurring line in the TV series. Many will remember him more for the film Trading Places with Eddie Murphy and Don Ameche. I think Jon Voight gave a magnificent performance of FDR as he struggled with his handicapped legs in one poignant scene in the 2001 film Pearl Harbor. Harry Truman on the big screen deserves some comment. Ed Flanders, a little known character actor gave a fantastic performance as Roosevelt’s third Vice-president and in the 1977 film, McArthur. Gary Sinise, who as Lieutenant Dan nearly stole Forrest Gump from Tom Hanks, also played a very forceful Harry Truman in the eponymous movie, Truman, 18 years later. John Kennedy had more than a few screen actors portray him. The most impressive was Bruce Greenwood in the 2000 film 13 Days, though I have to confess to a fondness for the overly romanticized 1963 classic PT Boat 109, starring the always superlative Cliff Robertson. I remember one scene in which the actor saved one of his crew, a former football player, by swimming with a rope in his teeth or something like that. While he failed to capture the depth of LBJ’s mean-spirited narcissism, Randy Quaid, better known as Cousin Eddie (Vacation movies) or as Dennis’ brother, had the perfect physique to play the gangly Texan, who looked at times like a disconnected turkey. 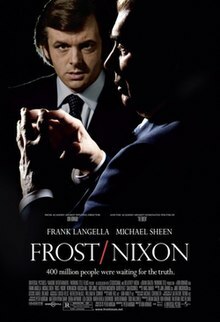 Richard Nixon had two of Hollywood’s finest actors, Anthony Hopkins and Frank Langella play him. Langella stands out, maybe because of his 1977 Broadway role as Count Dracula in his attempt to capture the demon-driven 37th POTUS. Bill Clinton was better on TV, especially as satirized in many Saturday Night Live skits. Scott Harriot did portray him in the movie, Naked Gun 33 1/3: The Final Insult, a title that just bleeds with juicy irony. I think most attempts to portray George W. Bush, especially by the big elf himself, Will Ferrell failed because of the hostility embedded in the left’s dislike of the 43rd POTUS. I wasn’t even aware of the pair of nondescript movies that gave us a celluloid Barack Obama. I don’t see how anyone could play a better Obama than Obama himself. I mean he acts as if he were playing at being a real president instead of actually being one. Let’s be honest here’s a twice elected president—POTUS #44, who has been acting like a president for more than four years while leading from the rear, playing golf or campaigning while Benghazi burns…and whose presidential symbol is not the eagle or the sword but an empty chair! Maybe it is a new form of method politics. So now comes time for the nominations for best Hollywood portrayal of a president of the United States. One of the lesser known periods in American history was the time that historians call the Era of Good Feeling. It was delineated by the two-term presidency of the fifth president of the United States, James Monroe, who served from 1817-1825. Monroe was the third straight Virginia Democrat to hold the highest office in the land, having succeeded Thomas Jefferson and James Madison. Both his predecessors had also served two full terms of office. It was called the Era of Good Feeling because at least on the surface there was little of the party bickering that has come to characterized American politics today. Monroe’s Electoral College score was almost unanimous. 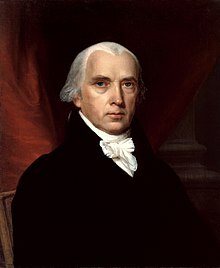 In fact it should have been unanimous since he won all the states, having presided over the virtual extinction of the only other viable political party, the Federalist Party of Alexander Hamilton and John Adams. Monroe would have been ranked forever with another Virginian, George Washington, had not one elector voted for someone else out of deference for the country’s first president. By default Monroe had become the leader of a one-party government. He had only the Constitution to prevent him from effecting his will on America. Fortunately Monroe was a Jeffersonian or small government type of Democrat. I wish we had a few or even one of those today! I sometimes wonder if we are at a similar juncture in our nation’s history. Monroe enjoyed many of the benefits of the youthful exuberance that drove the nation’s spirit in the early 19th century. Technology was booming and the raw individualism of a free people was pushing the nation toward generations of unimagined prosperity. Monroe’s party was beholden to the slave interests of course but for the most part they were not interested in accumulating great personal power and advancing an agenda that would not only limit individual freedom but dampen the American spirit as well. 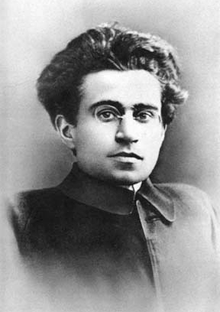 Are we not entering a period of hard feelings in which our president will rule the American people, not in freedom and individualism but in a collectivist philosophy garnered from the pages of Marx, Gramsci and Alinsky? Since taking office in January, 2009, this president has not governed in any real sense of the word. 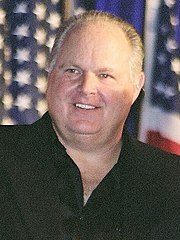 In fact in a brilliant piece of political analysis, Rush Limbaugh recently explained how a president like Obama with the worst economy in generations, worst recovery ever, high unemployment, stagnant job growth and a declining popularity abroad could have won re-election. Rush believes that throughout his presidency, Obama has been the perennial outlier. He has given the impression that he is not governing, so how can he be responsible for any of the ill effects of his policies. All the bad things that have happened are the fault of the Republicans, who despite their inadequacies are the only adults left in Washington. Obama and his partners in crime have run away from virtually all the hard choices. 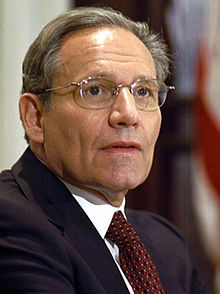 The infamous sequester, which according to a once-revered liberal, Bob Woodward, he of Watergate fame, was his idea. He even refused a game-saving gift from the Republican House for flexibility in making the cuts. It is as if Obama has worn gloves throughout his presidency. His mark is on virtually nothing of any serious consequence. Hard choices are for the losers! The country is rudderless and heading for the iceberg. And to make matters worse, Mr. Obama will have to make certain that the worst effects of the sequester do cause a great deal of pain on the American people. To do otherwise would make him look bad after all his apocalyptic posturing. If there are long line at the airports and we have to wait for any kind of government service or program, you can bet your next social security check that it has happened under the instructions of the White House. E-mails are surfacing that gives instructions for department heads not to diminish the impact of the sequester cuts in any way, so as to make the president’s predictions look false. 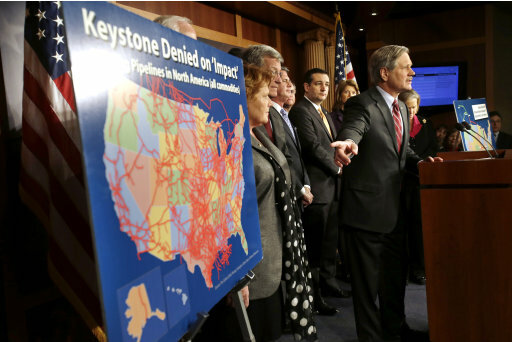 On the energy front, he still equivocates on the Keystone pipeline, while trying to extract a carbon tax on every ounce of energy the American people use. His selection of Gina McCarthy, the author of many onerous regulations as a deputy in the EPA should be seen as a warning shot across the middle class bow. But he is also not a true democrat with respect for our supreme law and anyone who dare oppose him. So he will try another end run by hamstringing the middle class and our economic system with more debilitating rules and regulations that will just pile more debt onto the American burden. Obama was a perpetual campaign that really has not halted since 2009. Obama II seems to have as its agenda…if one can believe Rush Limbaugh and I do…the solitary goal of literally destroying the Republican Party as a viable political entity. Think what would happen if the Democrats regain the House of Representatives in 2015. The Washington Post all but confirmed this Rushian Theorem the other day. What will those final two years bring? More false hope or just plain despair? And if they fail to accomplish his grand plan of changing virtually everything good about America does not come into fruition will he actually leave and hand over the reins to another Democrat…presumably Hilary Clinton? How many times have we heard him say that the Constitution was a great obstacle for his change…for his reforms? He has circumvented it several times using executive orders, and by intimidation as with the bond holders for GM. Remember his corps of impudent czars? The people who elected him might demand his return in 2017. I am talking about blacks, homosexuals, Greens, the unions and all his bought-and-paid-for cronies on Wall Street. He will still be vital. 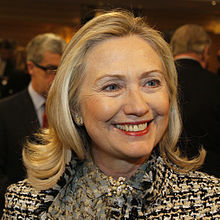 Does anyone think that Hilary will be up to it in 2017? She looks ill now…even worse than her husband. And just who would oppose him? I fear blood would run in the streets. He has voiced his regret that he is not a dictator –I would add a king but I think he would like to be either. But from his extra-constitutional actions, policies and attitude, it is no more than a distinction without a difference. In a past blog post I explored the reality that to be a liberal is to be mentally ill.
With Mr. Obama I see the visions of grandeur in his arrogant strut to the bloody pulpit. He’s got the sickness of power. I see it in his facial expressions, and his shortness with any form of question of opposition. I see it in his inability to govern…compromise or ..or go off message. More articles are appearing that make him sound like the ultimate invader…from another planet whose sense of self-importance has alienated him from the rest of us. Oh to be so smart, handsome…a leader without peer…I can hardly stand the emotion. Obamamania makes me pine for the days of good feeling because we are deeply mired in the Obama Era of Hard Feelings.